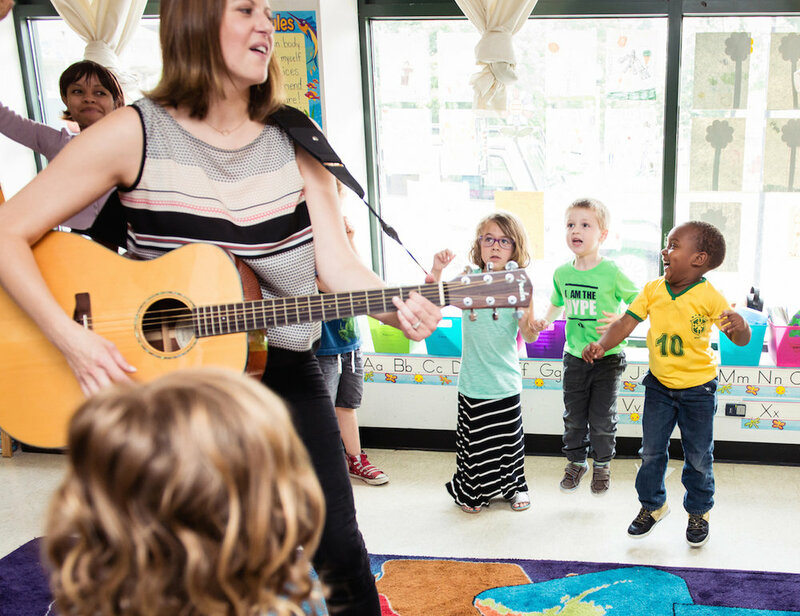 Developed by a veteran National Board Certified music teacher, our mission is to bring the magic and joy of music to all children! 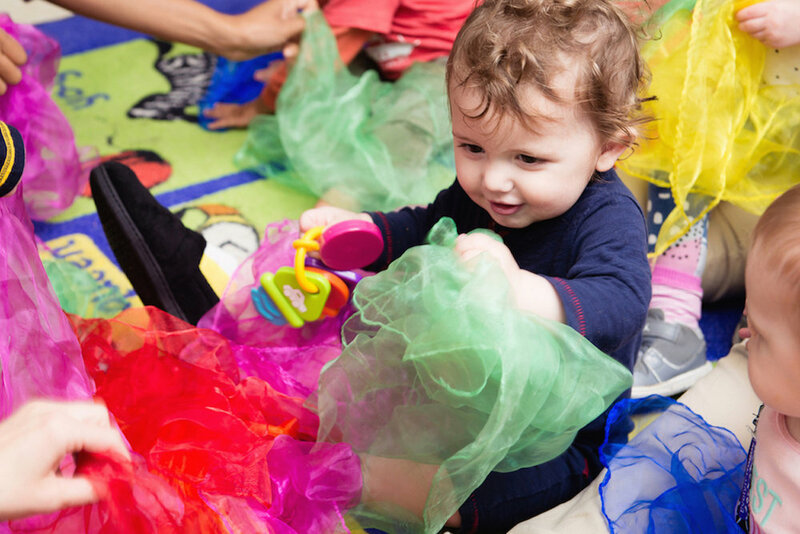 A typical 30-minute class led by a Tiny Tunemakers’ specialist includes singing, instrument playing, creative movement, improvisation, prop use such as scarves or a parachute, musical story time, vocal exploration, dancing and fun! Each family receives two Tiny Tunemakers CDs each year to learn the songs alongside your child (also an amazing distraction in the car!). Families are also invited to two music nights each year so you can create music alongside your little one! The benefits of creating music by singing are endless! Beyond the stress relieving effects and pure enjoyment, it also improves pre-reading skills such as phonemic awareness, syllable recognition and rhyming ability. 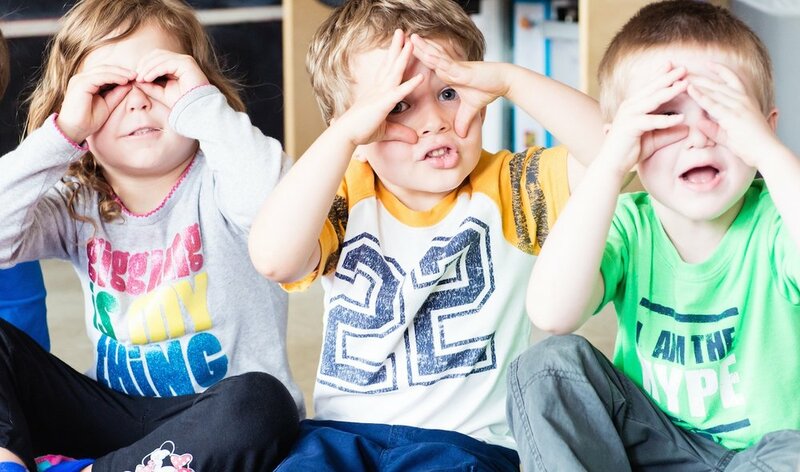 My son can’t wait to go to Tiny Tunemakers class each week. He sings the songs all the time at home. When you place a prop in a child’s hand, their inhibitions melt away. Children are now free to explore the space around them while developing their spatial awareness and move their bodies in new, creative ways. 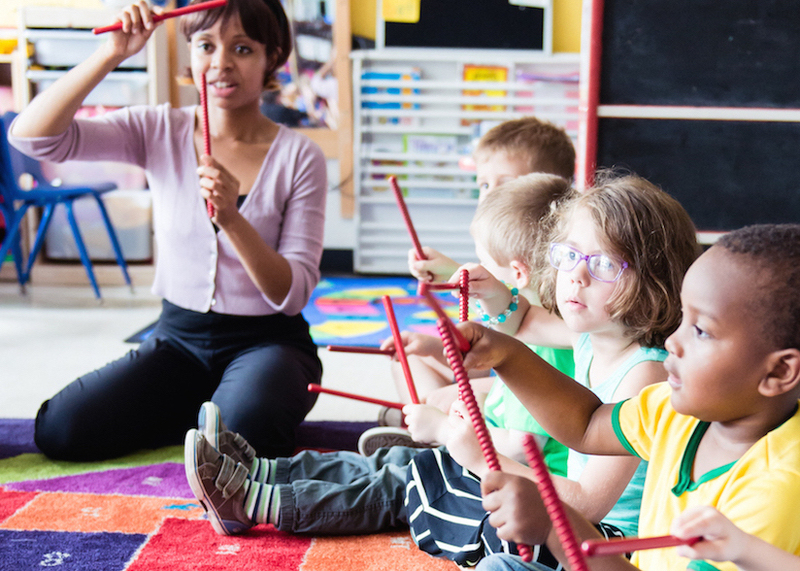 We introduce children to a variety of small percussion instruments to develop steady beat, rhythm, improvisation and self regulation. Studies have shown the inclusion of social and emotional learning (such as taking turns, working together, identifying emotions, etc) leads to improved academic achievement as well as enhanced motivation and kindness towards others.